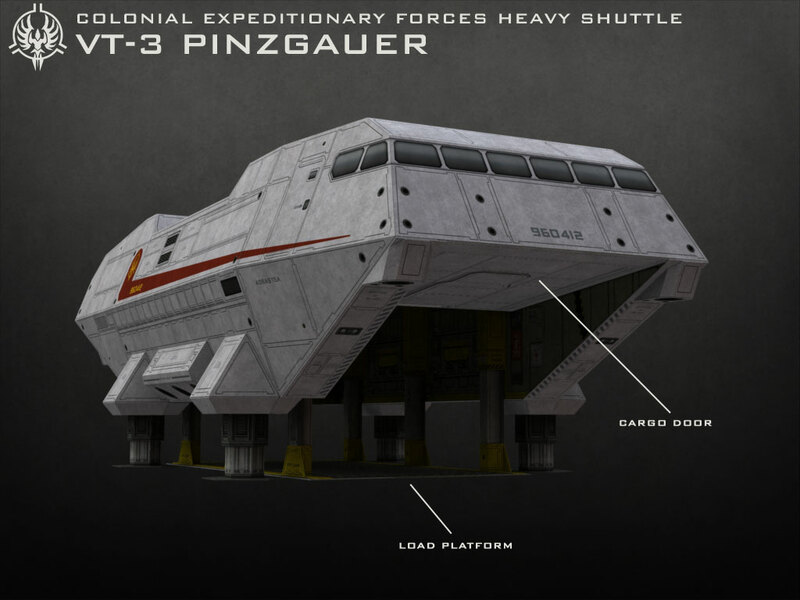 This venerable workhorse has served the Colonial forces for nearly 60 years as the primary ship-to-surface heavy lift shuttle. Its large cargo capacity and roll-on/roll-off hydraulic load platform system make it a favored choice for transporting vehicles from ship to surface. 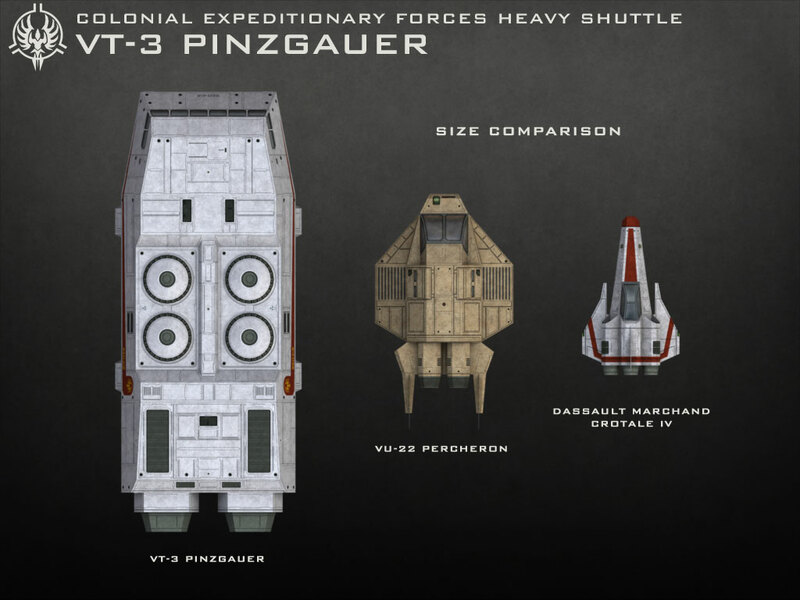 Upgraded over the decades to keep them technologically current, many of these shuttles are older than their crews and still in the prime of their operational lifespan. 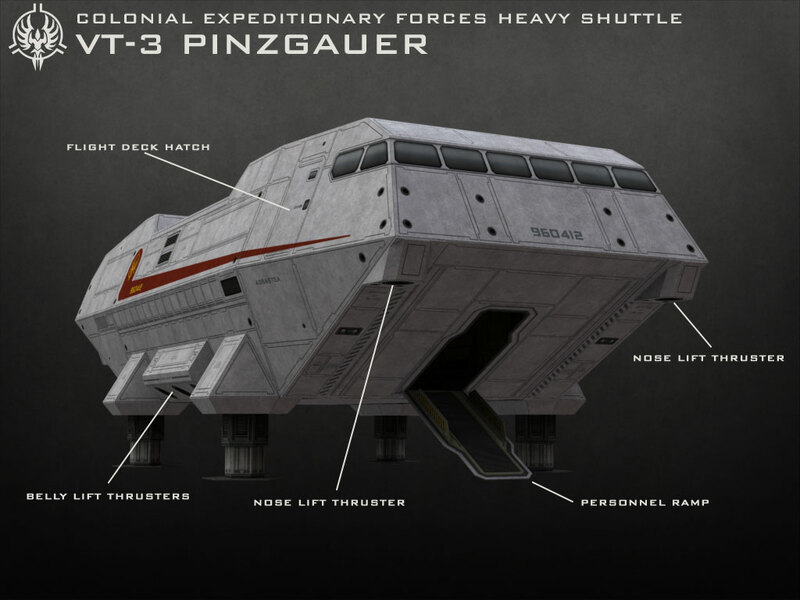 Their versatility, ruggedness, and reliability have spawned a mind-bogglingly large number of mission-specific variants, and older marks of the Pinzgauer have found their way into civilian service, where they continue to live up to their reputation for being solid and dependable. 42 page PDF. Model measures approximately 17.5" long x 5.25" tall x 7.625" wide. Glad this is finally coming out to play I think this is, overall, your best yet Chris. Huge model, lots of really cool working features, and yet very easy build...Brilliant! I love this, I discovered 'Ebbles' 2 days after the site closed. Is the CD still available. Chris; You should re-post the 3d walkthrough link. This is a model that goes to 11! xombygod: 'Fraid not. The archive DVD was a limited time offer that ended last year. And just in case anyone asks why I don't bring it back, I honestly don't have the room or time to deal with a mail order business at the moment. Skunkape: Yep, it's on a countdown now! Yesterday was a bit nuts trying to get everything wrapped up before bed, but I just about made it. Squirmydad: Funny you should mention that--I actually put links to the Win/Mac walkarounds on the product page below the description because they're too fun not to share. Well thanks anyway. I love the paper models, Me and my boy build em, and worse case scenario we rebuild it. I tell ya it is alot cheaper than spending $150.00 for a plastic syberwolf, at a Game Workplace. 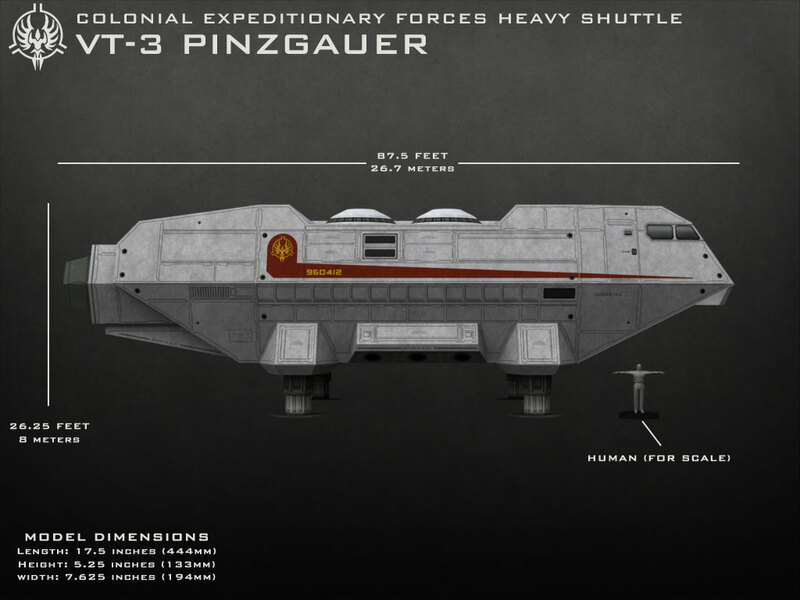 I would like a dreadnaught, Or better yet what software do you use to design these things. I am a tattoo artist(?) and I am fascinated with the possibilities. I like being able to bring a dream to life. Anyway cool model. Awesome as hell. Wow, you guys jumped on that release pretty quickly! Thanks for your support! Now all we need is some scifi terra clips to land it on. A SwiftScenics landing pad would be great ... also a multi-bay motor pool, warehouse supply depot, ..... and not least those transportable buildings you had already made on your old site. I love those buidings .... slap on a fountdation or piers if you need a little vareity and they are good to go. A staging area like that would be very interesting ... multiple objectives. Anyway, thanks for another great model! Great that it's released, buying mine in a few minutes! Sweet, will have to get this very soon! Going to setup a little picture shoot...but there is a problem...the dang thing is HUGE!! I was trying to find a matching Onagar for the hold... Chris, did you ever do the Onager in Tan? So any way...hopefully pics up "Soon"
I was wondering why that post looked so familiar, then it hit me--I'd answered it on the Lounge a little while back. *Instructions and model PDFs updated. Renumbered several parts and shuffled a couple of things around a bit. *Cutfiles updated. Frame 42 in particular had a couple of tab issues that were sorted out. *Texturing refreshed a bit. I made some subtle changes to the exterior weathering, nothing major. PCs get to be the lucky folks that try to make sure that the colony is successful... and profitable. Maybe a modified version of the Kingdom rules in Pathfinder's Kingmaker series. No problem Chris, glad to help out. This one looks sweet like the other Ebbles models, but I've found them too difficult and fiddly to assemble. I have a few sets and gave up fighting them. Apparently, I am not the target audience for these models, but they sure look sweet.